Mattress toppers can be a great investment for people with back pain. As they can breathe new life into an old mattress by giving them the support, comfort and spring that they lack. And this could save you a packet as replacing your mattress can be a seriously expensive business. But which mattress topper should you go for? The answer to this depends on whether you need to soften up a mattress that is too firm or add support to a mattress that is too soft. And if you want to do the latter then the best material to go for in your mattress topper is latex. As the spring and bounce it provides really helps to keep your spine in alignment and relieve pressure on your body as you sleep. The problem with latex toppers​ though is that although they are great for support they are not as soft and comfortable as memory foam toppers. Which may make people reluctant to buy them. But this is where the Ultimate Dreams latex mattress topper promises to be different. Because the latex used in it is processed using the Talalay method, which means it feels a bit softer and more bouncy than regular latex. Which should in theory make it more comfortable. But does it measure up to this promise? And is it still supportive enough for your back? 3" thick and made from a blended latex (60% synthetic, 40% natural). 5 lbs latex foam density. Oeko-Tex certified as being free from harmful chemicals. Comes with a free cover made of organic bamboo material. Built and manufactured in the United States. The latex molds to your body providing pressure relief, but not as soft or comfortable as memory foam. 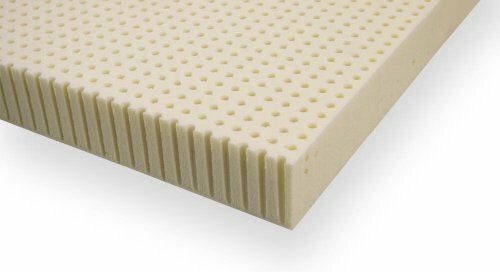 However the Talalay processed latex is softer than Dunlop processed latex. Great for relieving pressure and allowing you to get into a deeper sleep. Talalay processed latex is also more breathable and therefore cooler to sleep on. Has a medium-firm feel which is considered the best firmness level for people with back pain. The bounce of the Talalay latex stops you from sinking in too far which keeps your spine in alignment. It's easy to maintain a healthy sleeping posture on the latex as it pushes back against your body weight. How Is It Made Up? The Ultimate Dreams latex mattress topper is 3" thick and made from blended latex (60% synthetic and 40% natural latex). Which means it's not as healthy to sleep on or as friendly for the environment as a topper made from 100% natural latex. However, the materials used in the blend of latex still make it healthier than memory foam toppers and most other latex-blended toppers on the market. In fact it's Oeko-Tex certified as being free from harmful chemicals, so you'll still get a healthy night's sleep. However, those that are susceptible to allergies may want to stick to 100% natural latex toppers instead to be on the safe side. The latex used in this topper is processed using the Talalay method. This gives it more bounce and makes it softer and more comfortable than latex processed using the Dunlop method. And finally it comes with a cover made from natural bamboo fabric. This helps to protect the latex and also keep the topper breathable and cool. Help to make mornings like this a thing of the past by investing in a good mattress topper. Adding a latex topper onto your existing mattress is a great way of giving your back an extra layer of support. And the Ultimate Dreams latex mattress topper definitely delivers in this area. As the bounce from the Talalay processed​ latex pushes back against your body weight and doesn't allow you to sink in too far. Which is great for keeping your spine in alignment and encouraging you to maintain a healthy sleeping posture. Both of which will help to relieve pressure, tension and stress on your body during the night. In fact, the makers of this topper claim that it gives you 33% more pressure point relief than other latex toppers due to the Talalay process making it slightly softer. As the ILD of 28 in this topper gives it the feel and support of a medium-firm mattress, which is considered to be the best sleeping option for those of us with back pain. So your back will definitely feel the benefits from using this one (as well as your hips and shoulders). Making it a great way to add support and bounce to your mattress. Will the Ultimate Dreams Latex mattress topper send you off to sleep with a smile on your face rather than a frown? It's no good increasing the level of support on a mattress with a latex topper if you're not going to be able to sleep comfortably on it. Fortunately that's not a problem with the Ultimate Dreams latex mattress topper. As it's actually one of the most comfortable latex mattress toppers around. This is because the Talalay process makes the latex softer than it would be using the Dunlop process. And this not only makes it more comfortable to lay on, it also gives you more cushioning too. Which helps to relieve the stress on your pressure points such as your hips, shoulders and lower back too. And this will encourage you to relax and drift off into a deeper and more restorative sleep. And finally latex is a breathable material which means it sleeps cool and won't make you feel hot or sweaty. Plus the design has little air holes in it to allow air and body heat to pass through making it even cooler. Which will only add to your comfort levels. But while this topper is very comfortable by latex standards, it still won't be able to match the soft and luxurious comfort of memory foam. However, it will give you better support. So if you like to sleep cool and want extra support it's worth paying the extra for a latex topper like this one instead. The Ultimate Dreams latex mattress topper comes in a variety of sizes, meaning it can fit any bed from a twin up to a California king. And it also comes with 3 different firmness options. Soft - 19 ILD (indentation load deflection). A good choice if you need to soften a mattress that is too firm. Medium - 28 ILD. A good choice if you want pressure relief and a bit more support. Firm - 36 ILD. A good option if you need to add firmness and support to a soft mattress. I've chosen to review the medium topper here as that is the one that most represents the feel of a medium-firm mattress. However, while you can choose the size and firmness of your topper you can't choose the level of thickness. As unlike other mattress topper companies, Ultimate Dreams only offer this topper in a 3" thickness. Which is not a major issue but 1" & 2" toppers do produce a slightly different feel so it'd be nice to have these options too. Dreamfoam Bedding (the manufacturers of this mattress topper) offer a really good 30-day returns policy. So if you are not satisfied with it within this time period you can return it for a full refund. And it's free to send back as they will send you a return shipping label. However, you will need to box it up yourself which can be a bit of a pain as the latex is quite bulky and heavy. Latex is a very durable and long-lasting material. So you'll hopefully get plenty of years of use out of your Ultimate Dreams latex mattress topper. However, you can rest easy knowing that you are covered by the 3-year warranty should there be any defects in the topper during this time. As you can get your topper replaced or repaired if there is. 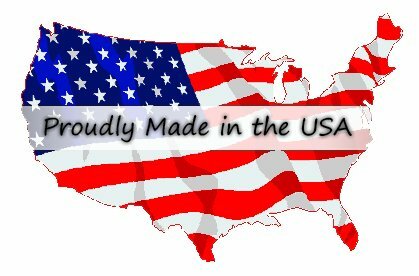 Unlike some other mattress toppers that are manufactured overseas and imported, this one is made and designed in the USA. Which is great news for a couple of reasons. Firstly, it ensures that the best materials are used to make up the topper. And you're also guaranteed high quality workmanship in every topper that is made. So you can order safe in the knowledge you are going to be getting a top class product. 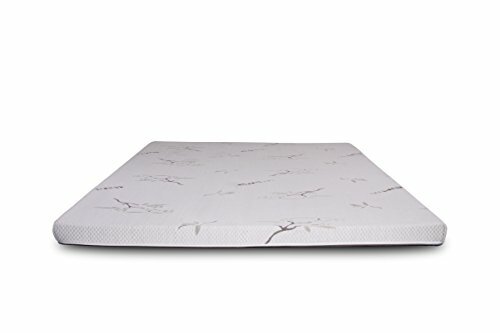 So would I recommend the Ultimate Dreams latex mattress topper for people with back pain? The answer is yes, but with a couple of caveats. So firstly the good stuff. Being a Talalay processed topper means this one provides a great​ mix between comfort and support. As the bounce of the latex helps to keep your spine in alignment and reduce strain and tension. While the extra softness helps to give you greater pressure relief than Dunlop processed latex mattress toppers. However, the downside is that this topper is made from a blended latex rather than being 100% natural. So at this price point it may be worth considering going for a 100% natural latex topper instead. But having said that it's still Oeko-Tex certified and doesn't contain harmful chemicals so it's not unhealthy as such. And the blended latex wouldn't be enough to put me off buying it. So if adding extra bounce and support to your existing mattress while also retaining comfort sounds good to you, this is a great topper to go for. Provides a medium-firmness that is perfect for people with back pain. Has a great mixture of comfort and support. Talalay processed latex has more bounce to it and is softer than Dunlop processed latex. Great for relieving pressure on your body by keeping your spine in alignment. The push back from the latex also helps you to maintain a healthy sleeping posture. More breathable than Dunlop latex or memory foam toppers, so sleeps cooler. Comes with a free cover made from bamboo material. It contains blended latex and is therefore not as healthy or eco-friendly as a 100% natural latex topper. Won't be as soft and comfortable as a memory foam mattress topper. Only comes in a 3" thickness. Latex mattress toppers are more expensive than memory foam ones. You may also be interested in my review of the Pure Green Natural Latex Mattress Topper which you can find by clicking on the link. And to see how the Ultimate Dreams Latex Mattress Topper rates against it's competitors you can find my review here of the best latex mattress toppers for people with back pain.